Stop the press! There is some crazy-shocking news afoot this morning. I have actually made a quilt that I did NOT stipple. That hasn't happened in like...forever. 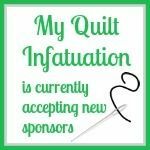 Well, it hasn't happened since I got hooked on free motion quilting anyway. And maybe even more surprising (for me), is that I loved the process just as much! This quilt has been an adventure in discomfort for me. Everything from the minimal design to the swirly quilting was a creative stretch, and I'm pretty pleased with the result. Because of this, I decided to name this quilt Dabbling. The rainbow of solids just glow against that gray background. Amazingly, when I edited these photos, I did not saturate the colors in these photographs at all. The hues are just this vibrant. 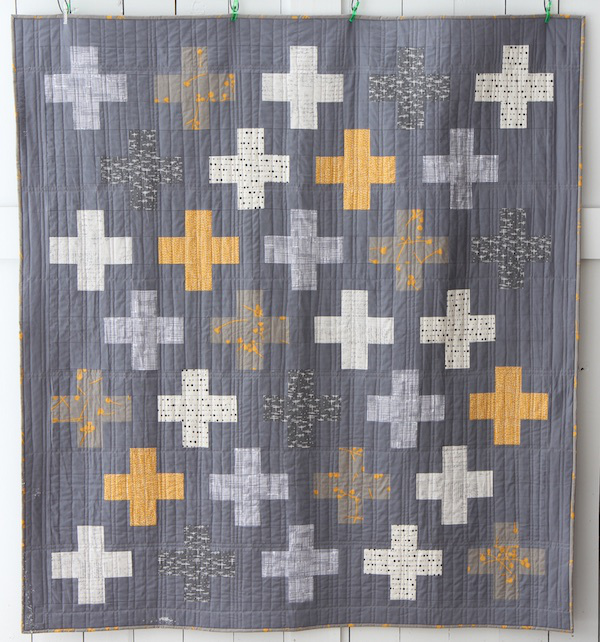 I also love how the gray shot cotton adds some dimension to the quilt, but is still solid. This is a Cloud 9 fabric from their Cirrus line called Shadow. It is woven with two shades of gray, so the "shimmery" quality that shot cotton usually gives is very subtle. It is a really soft fabric, and I found it easy to work with, though it does ravel a little more than others. I did a good bit of sketching and practice quilting on those swirls before finally getting up enough nerve to put them on the quilt, but no matter how much you practice, creating the design on a quilt always feels a little different because of the weight involved. Once I put that quilt under the needle, I had to fight my stippling autopilot the entire time. Muscle memory really is an amazing thing. When I started, I knew that there was NO way that I would be able to keep the swirls the same size throughout the quilt, so I purposely varied the sizes from the get-go. These swirls are far from perfect, but overall, I'm happy with them for a first attempt. (ps- that is not a pucker on the gray fabric in the upper right; it is a wrinkle that will wash right out; the sunshine is just throwing it into great relief). So, my reasoning for branching out from a simple stipple is because, with all of that negative space, I wanted to call a little more attention to the quilting. 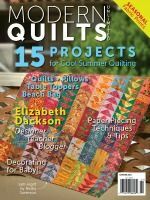 Though I always love the texture and dimension that quilting creates, in general, I tend to focus more on color, fabric, and the pattern design. That being said, this is definitely not the last time that swirls will be appearing on one of my quilts. You wouldn't know this from looking at my quilts, but I kind of have a thing for birds. I have a couple of pieces of art in my home that have songbirds in them, and when I decorate my Christmas trees, I clip blown-glass birds with feather tails all over them. Anything can be overdone, so although I am drawn to things with birds on them, my home does not have birds everywhere. I just think they look delicate and pretty. 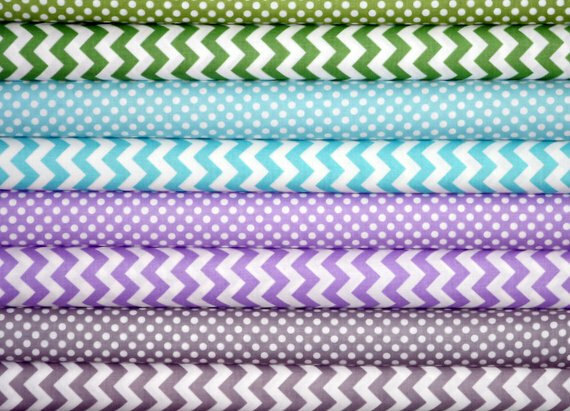 When I was searching for a backing fabric, I knew I wanted a fantastically busy print with a rainbow of colors, since the front was so minimal. I found this Michael Miller print and fell in love. The folk drawn birds are the perfect foil to the front of the quilt, and the dark navy background balances the expanse of lighter gray perfectly. I don't usually gravitate toward fabrics with animals in them (not even Cotton and Steel or Tula Pink), but I cannot tell you how much I love this print. I simply can't make a backing without piecing a little bit, so I added a wide stripe of the turquoise solid. Also, since this fabric is directional, the solid stripe also allowed me to avoid having any seams in the birds. Each bird is about 3-4 inches tall. Aren't they just SO much fun? In case you missed my last post, this quilt is made using my Girl's Best Friend pattern, but I just made ten blocks. Since a few have asked, I won't be writing a separate pattern for this minimal layout, so if you want the specific details on modifying the pattern, just shoot me an email, and I'm happy to help! This quilt is 60" square. So here's the honest to goodness truth. Do I love this quilt as much as other quilts that are much more "me," like Stems and Stones, or Seeing Double? Nope, but I've learned that's okay. I had fun pushing the boundaries of my creativity on this quilt, and doing that has inspired me to dabble in a little design discomfort in the future (like maybe other FMQ designs- gasp!). After all, the process and journey are just as valuable as the end product. 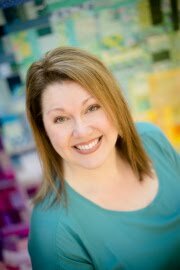 Those of you who follow me on Instagram (myquiltinfatuation) know that these past few days have been a bit of an ordeal for me. While cooking dinner on Saturday night, I completely sliced off the end of one of my fingers (shocking that it wasn't with the rotary cutter, I know). In true quilter fashion, I managed to take off a clean quarter of an inch, but thankfully, I missed the nail bed and bone entirely. I have never been so happy to be a nail-biter. Unfortunately, although the piece was large enough that the ER offered to try to reattach it, it wasn't big enough that the doctor actually thought it would be successful. I am so thankful that it wasn't more serious, as there are many worse things in life than a misshapen fingertip. It is still painful (seriously, how can something so small hurt SO much?? ), but it is manageable; so now, the biggest annoyance is that my quilting speed has been throttled drastically. It has taken me several days to put together this quilt top (ps- I promise that it's square, but the ripples from the wind makes it seem otherwise). This quilt is an exercise in minimalism for me. 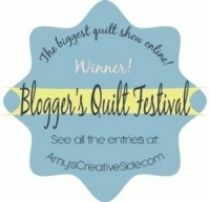 Even though most of us can appreciate the design of certain elements of modern quilting, we all have our own style, and minimalism in design has just never been something that I naturally choose to execute in my own quilts. Another first for me, is the use of all solids. 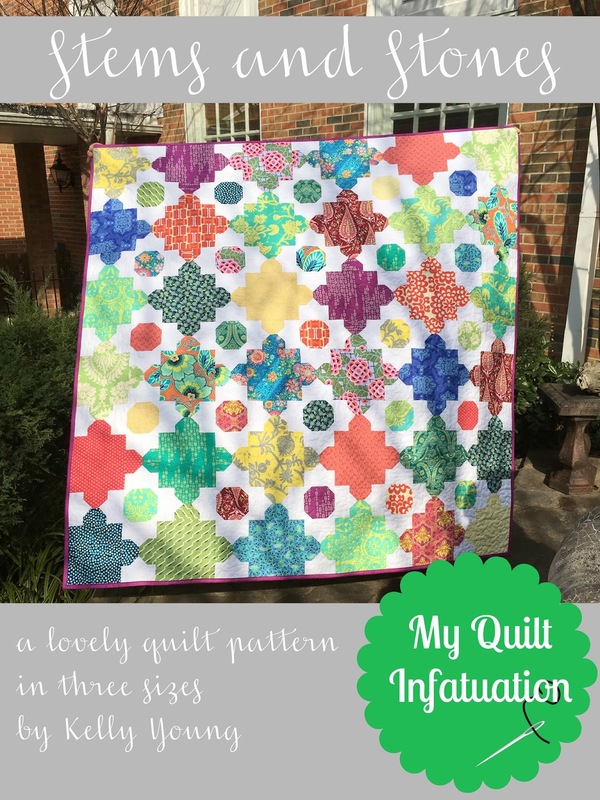 Can you believe that I've never made a quilt entirely from solid fabrics? I always love the look of all solid quilts, but when I start to pull fabrics for a new project, all of the delectable prints just call my name. I used ten different shades of Kona to create a rainbow. The pattern is my own Girl's Best Friend pattern, and I just made ten blocks. The background gray is a Cloud 9 shot cotton called Shadow, and I love how it adds just a little bit of dimension against all of those solid fabrics (I still count it as solid though!). So, last week's party had some amazing linkups, and believe me, I was grateful for the distraction while sitting in the ER on Saturday night. Here are some of the ones that really caught my eye! 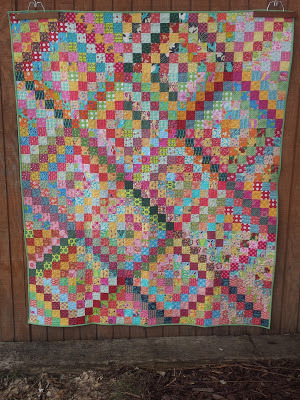 Seriously, I Think It Needs Stitches linked up this gorgeous Jane's Cross quilt. This Modern Plus quilt from Beech Tree Lane is super cool! and Oh. My. Goodness. 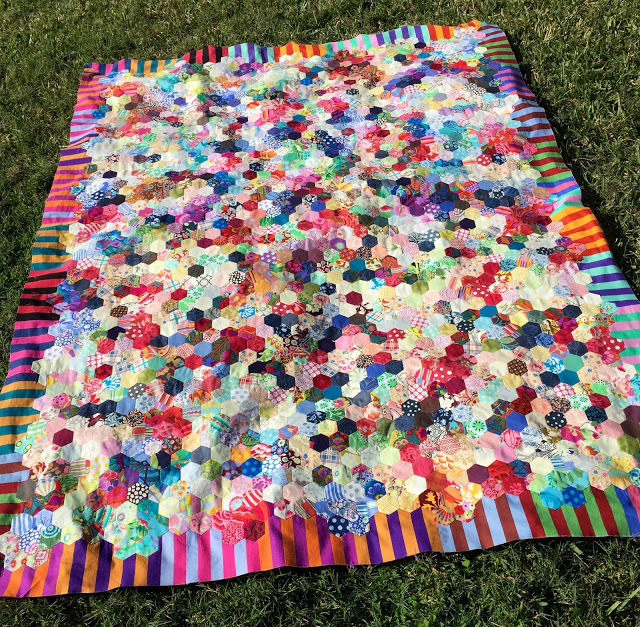 This scrappy hexie quilt, by Maryse Makes Things is a masterpiece. Okay, friends! It's time to link up your latest bits of awesomeness this week! Welcome to Needle and Thread Thursday, y'all! Things have been Crazy (with a capital C) around here lately! In addition to the finishing the Strawberry Fields Revisited quilt I showed last week, and a duplicate of my Gemstones quilt for a friend, I am so delighted to report that my Stems and Stones pattern is available in my Craftsy and Etsy shops! This is a really fun pattern (no curves), and great for showing off your favorite focus prints. Check it out! Lest you think I am some sort of quilty version of The Flash, I'll let you in on the reason this week has been extra productive. It is a bit of a cautionary tale for all of us who do lots and lots of ironing (ahem- ALL quilters). So here's the deal. When I'm in a hurry, or just not paying attention in general, I tend to push down on my iron when pressing fabric, blocks, etc. I don't move it back and forth because I don't want to distort my fabric; but when I put the iron down, without thinking, I push instead of letting the weight of the iron do the work. Unfortunately, this has led to a nasty case of ironing elbow, known to the rest of the world as tennis elbow (which is a much less embarrassing cause of injury, I might add.) Anyway, the pain has caused some sleeplessness, and I can think of no better way to fight the boredom of infomercials during the wee hours, than sewing to my heart's content. What? I should take a break from sewing and ironing, you say? Nonsense! I am nothing, if not adaptable. I learned how to hold my iron with my arm in a certain position so that it doesn't hurt, and I do have a brace that helps, too. All things being equal, of course I would rather have slept a little more, but I'm certainly not going to be sad about finishing two quilts this week. Silver linings, y'all! Just something to keep in mind. Since ironing is such a dangerous activity, you should do what I do, and limit that task to quilts and blocks only- zero clothing. And now that I have effectively warned you, check out some of the fantastic projects that were shared at last week's party! Em's Scrapbag showed off this Scrappy Trip Around the World quilt. I love the explosion of color! This lovely, scrappy quilt is from Pink Doxies. and Quilting is More Fun Than Housework showed off this improv wonky star- made from scraps! Apparently scrappy masterpieces were the name of the game this week! Before we move on to the party, I have one more little reminder. 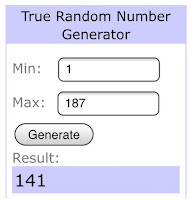 If you aren't aware, I have FOUR awesome giveaways going on right now- three great bundles, and a $100 gift certificate. 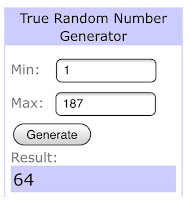 All four giveaways end on Saturday morning, so be sure you hop over and enter HERE. 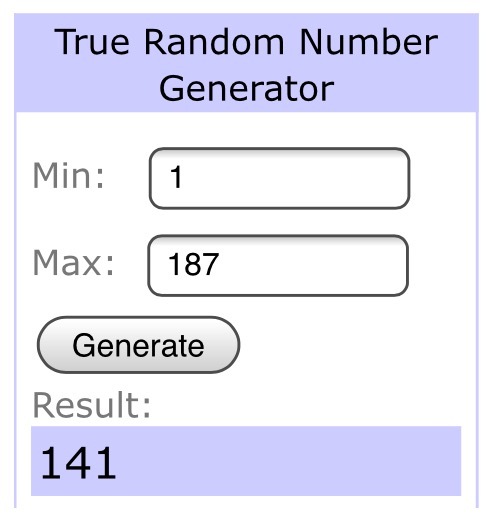 Just one comment enters you in all four, so it's super easy! Alrighty then, y'all! Let's get down to partying! As I mentioned in my last post, when I finished my Gemstones quilt a few weeks ago, my friend saw it and wanted it for her daughter. Since that one was already promised to someone, she asked if I would make another one- same pattern and fabrics, but with one difference. My friend wanted this one to be bigger- 70 inches square, instead of 60 inches, and with an 18 inch pillow to match. I don't usually like to make exact duplicates of quilts, especially not so close together, but with fabrics this gorgeous, I zoomed right through it. The biggest difference that you may notice, is that the Baubles in this quilt are arranged horizontally, rather than the vertical ones in the Gemstones quilt. This quilt is bigger, so I didn't have as much wiggle room in my fabric cutting, and since some of these Flora prints are directional (see those two-toned, graphic flowers), that pretty much decided the layout for me. Vertical or horizontal, I still really love the curvy (but not actually curve-pieced) Baubles shape. The added throw pillow, and increased size yielded fewer scraps, but I managed to put together a nice strip that is just enough to break up the navy and gray on the back. And, I know you've already noticed- why yes! that IS a berry binding on this quilt! The quilt is going to be folded along the foot of a twin size bed, with a solid coverlet underneath, so the 70 inch size will be perfect. With a quilt this colorful, I wanted to be sure that the pillow wasn't too overwhelming, so the scraps are bordered by a creamy white. The white in the Flora line isn't actually bright white, and as luck would have it, the creamy solid fabric that I pulled out of the Strawberry Fields collection when I made my mother in law's quilt was just perfect. I used every bit of my berry fabric in binding the quilt, so I decided to bind the pillow in navy, which ties in with the accent color on the quilt backing really well. This golden yellow fabric on the back of the pillow is a perfect match for the warm yellow in the quilt. I just realized that you can barely see some yellow in the quilt on the bottom of the picture. Unfortunately, I bought this yellow fabric awhile ago, and I've already used some of it, so the selvage was already cut off and I have no idea what it is (if you know, please tell me!). I had a little strip of the Camelot orange scallop leftover from binding the Gemstones quilt, and it was just begging to be added to this pillow! I just have to get the pillow form, and then these will be off to their new home! I have to smile when I think about the 7 year old girl who will be receiving this quilt. Last summer, her mother actually fell in love with the Pop Star quilt, and bought it for herself since she is so cold-natured. She told me that her younger daughter has been sneaking past her every single night to "steal" that quilt (or tries to) right when she knows she is about to go to bed. According to my friend, when found out, her daughter begs to keep it, and says that she loves it so much, "because it just feeeels sooooo good, Mom!" Hopefully now, they'll both get to be warm and snuggly! Ahhh... February. The month for all things pink and red, and covered in hearts. I don't know about you, but nothing says "I love you" like a gorgeous stack of fabric. 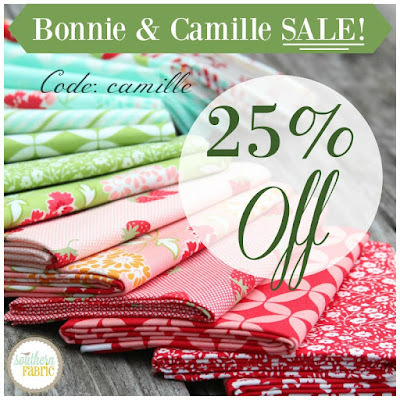 Do you have a main squeeze who knows that pretty fabric makes your heart sing? Well, even if you don't, I say that you should be your own sweetheart and take advantage of some of the amazing sales going on right now. Keep reading for some of the best deals on the web, including some coupon codes especially for my readers. And, of course, you'll want to know how you can have a chance at the four amazing giveaways offered this month! 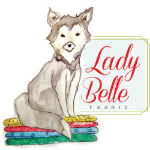 Let's kick off with the first of the fantastic giveaways, being offered by Lady Belle Fabric. This gorgeous blush bundle is curated by Brooke from Lady Belle, and includes 13 different fat quarters in shades ranging from the softest pinks to vibrant red, all from various collections. What a sweet group! In honor of Valentine's Day, Lady Belle Fabric is also having a sale, with 15% off bundles, precuts, quilt kits, and double gauze. It ends on Monday, so don't miss out! Five Monkey Fabrics has some brand new bundles this month. 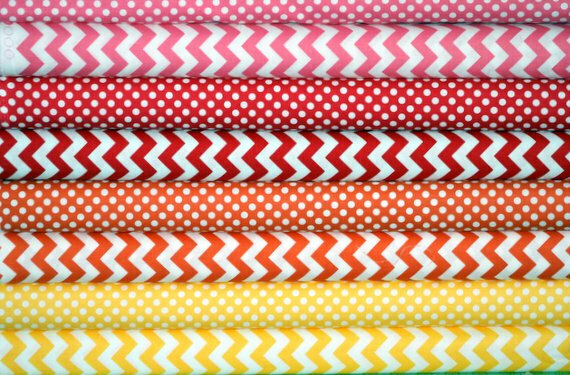 Y'all know I just can't resist a rainbow, and chevrons and polkadots are prints that are so easy to add to any quilt. 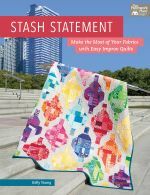 These bundles are great stash builders, and are available in fat quarter, as well as half yard bundles. Awesome! 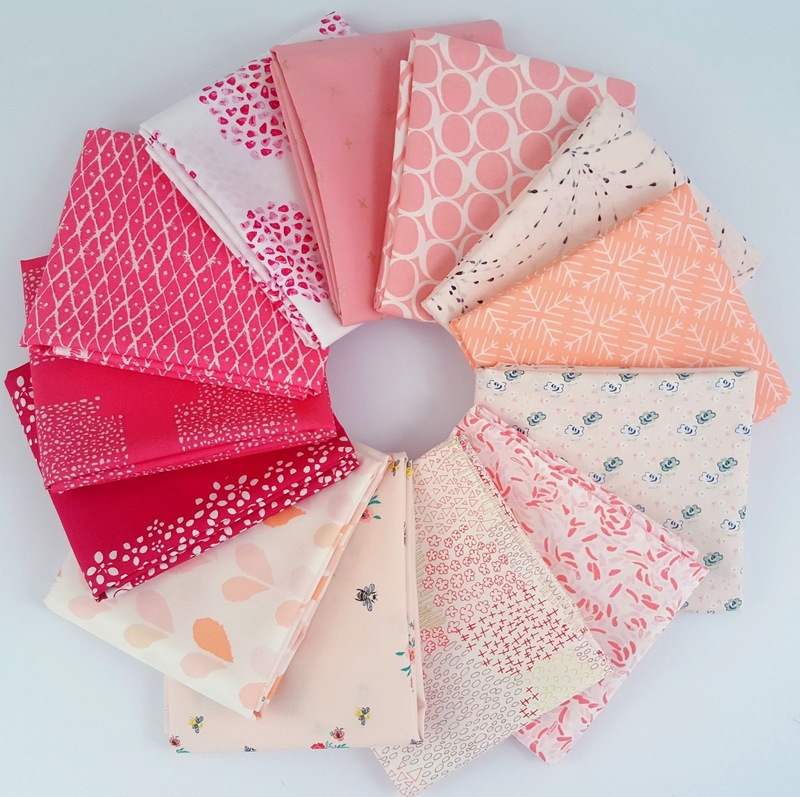 Michael Miller's Sing Song is another of my favorite bundles by Five Monkey Fabrics! The folk drawn birds are too cute! 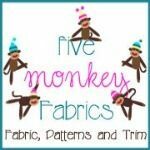 Five Monkey Fabrics is offering 15% off of your entire order. Just use the code MQI15 at checkout! Shabby Fabrics is celebrating Valentine's Day with a few holiday specific video tutorials, and a special bundle. I don't have any still photos of these finished projects (sorry! ), but the video tutorials for these cuties are linked here, so just click on the name of the project to see the video. 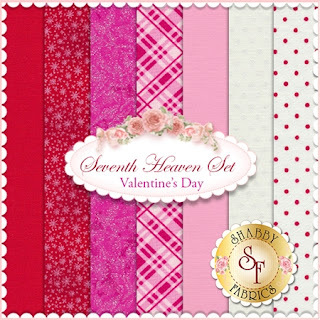 Shabby Fabrics has also put together a bundle of pretty pinks and reds for Valentine's Day, called Seventh Heaven. Love it! 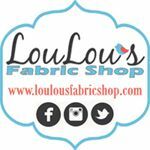 Up next is LouLou's Fabric Shop, and there are lots of wonderful things happening there! 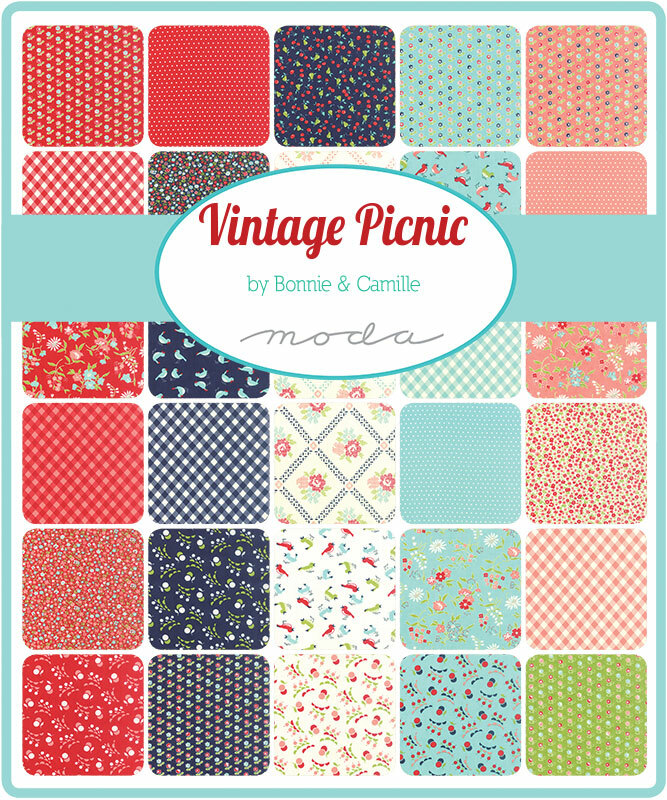 Vintage Picnic is arriving to LouLou's this weekend so tomorrow is the last chance to save 10% with code "preorder." LouLou's is also expecting the collection Hometown Girl to arrive soon. 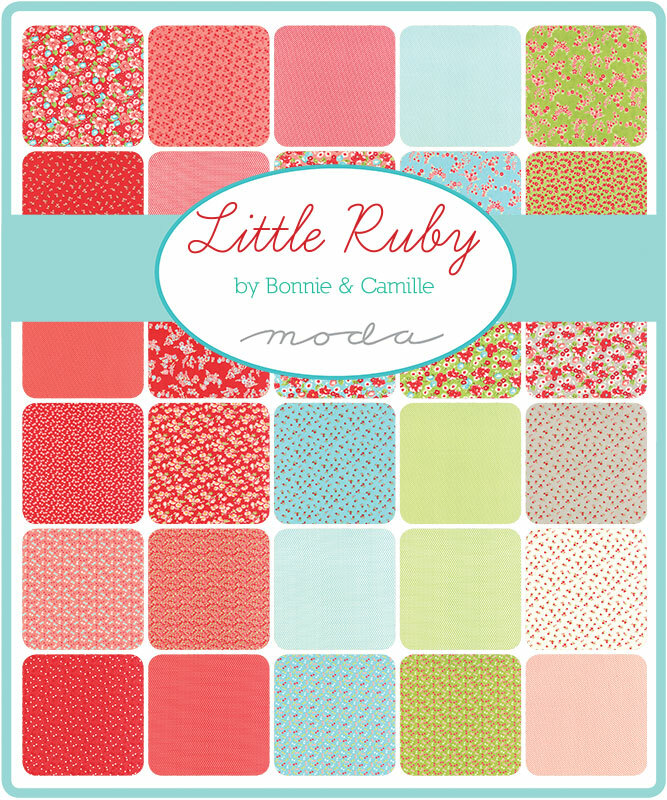 Some brand new lines that are already available include Under the Christmas Tree by Lecien, Little Ruby by Bonnie & Camille, Juniper Berry by Basic Grey and many others! One of the coolest things about LouLou's is that many items, including the lines listed above, are available to purchase with an installment plan. So, if you know you've got a big project coming up, that could make the purchase easier on your wallet. And speaking of large purchases, LouLou's also offers these full-collection bundles in half yard and full yard varieties! On Valentine's Day (Sunday) only, LouLou's is having a shop-wide sale. You can save 20% off of your entire order with code ilovefabric. 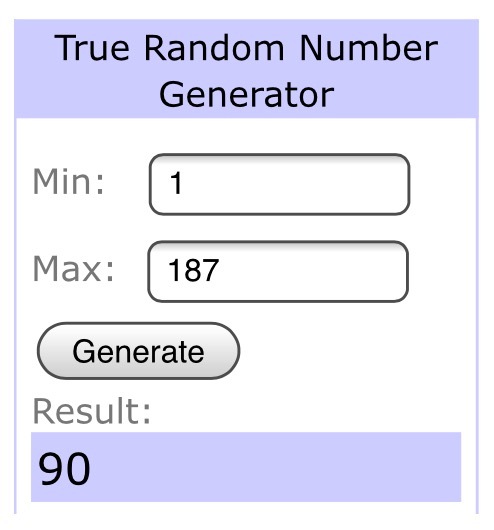 Ready for another giveaway? It's a great one from Finer Ribbon! 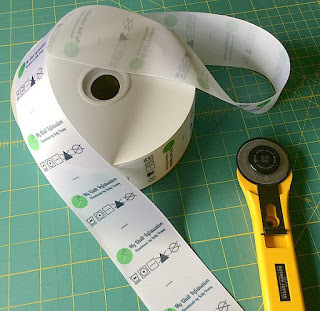 Once again, Finer Ribbon is very generously offering a $100 gift certificate to their shop, which can be applied to a spool of labels, or any of their other items! 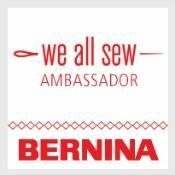 If you are familiar with me and my quilts, you already know that I LOVE my labels, and wholeheartedly recommend them to anyone looking to add a more professional touch to their quilts. My labels are 2.25 inches wide, and printed from side to side, rather than running the length of the ribbon. Having the print run side to side allows me to have laundry care symbols on the back of my labels, so no space is wasted. This is important info to note, because when you look at the item listing HERE, you'll need to choose the width from the drop down menu, and the price varies with the width you choose. Finer Ribbon allows you to completely customize your labels with full color, and your own logo and fonts, and their designers will guide you through the entire process. They even include a full scale proof that you can print, cut out, and fold, so that you can be absolutely certain that you love the final product. Did I mention that the spools have 1000 labels on them? That works out to about 10 cents per label, and that's pretty hard to beat! At Southern Fabric, they're celebrating the arrival of Vintage Picnic as well! And what better way to celebrate than with a special sale? Y'all, time is of of the essence here, because this sale actually ends tonight at midnight EST! The other big thing happening right now, is the start of their Sew-lebrity Club. Each month, a different "Sew"-lebrity puts together a bundle of yummy fat quarters. 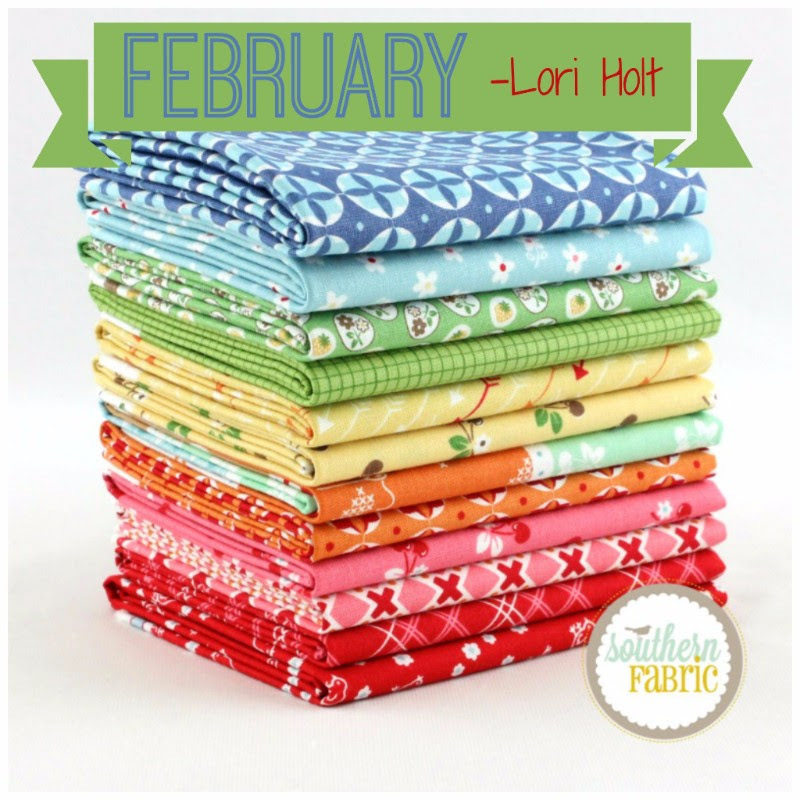 This month's bundle is by Lori Holt and it is so fresh and springy. Perfect for getting rid of the winter doldrums, even when the weather refuses to cooperate. It's not too late to sign up for the year and save 20% on these bundles all year long, so check it out! Up next is the Fat Quarter Shop! I always love checking out what's new at FQS, and the first place I look is at their Precuts of the Week, and Basics of the Month sections. These are always changing, but the fabrics offered are always beautiful, and at a fantastic price! 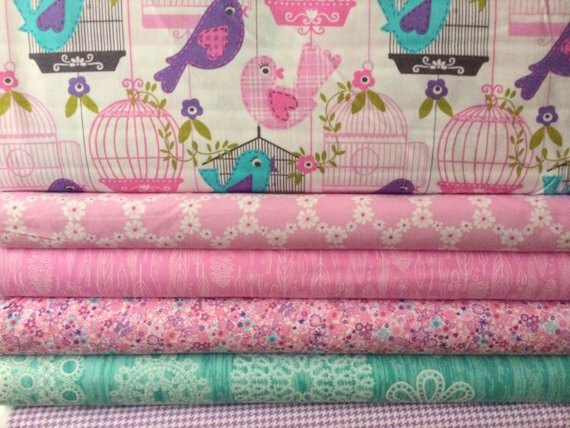 Right now, the Precut of the Week is a half yard bundle of Cotton and Steel's Lucky Strike collection. 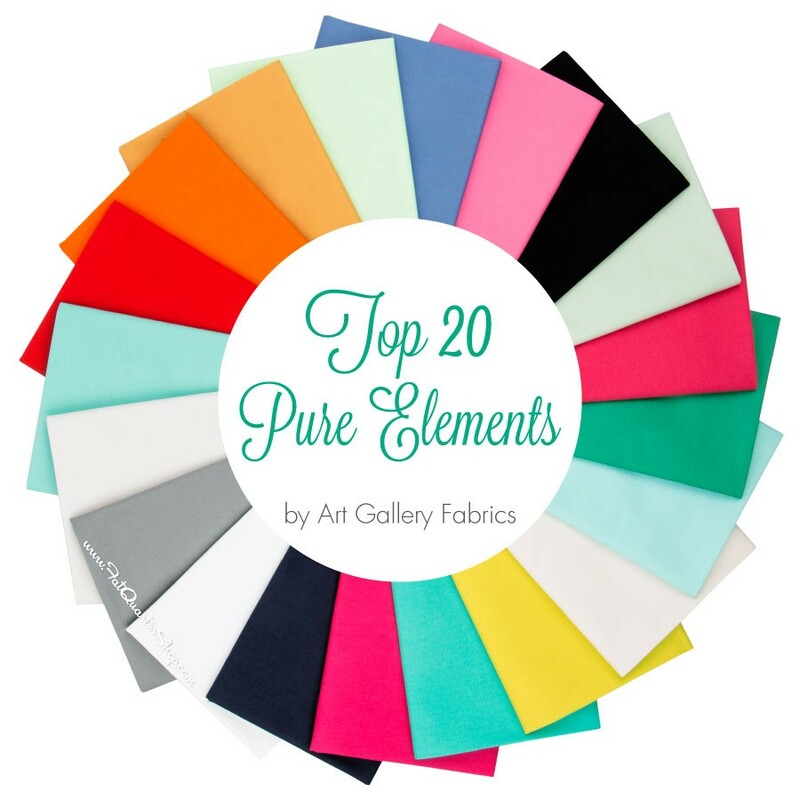 The thing that's really calling my name though, is the Basic of the Month- the Art Gallery's Top 20 Pure Elements Solids. I'm a little hesitant to admit this, but when I get Art Gallery fabrics, part of the welcoming process before putting them away, is fabric petting. Come on, now! Surely, I'm not the only one? They are just SO soft and luxurious! Admit it, you know you rub them on your cheek a little bit, too. Fat Quarter Shop is sponsoring our third giveaway of the day, and they are offering a bundle just as amazing. 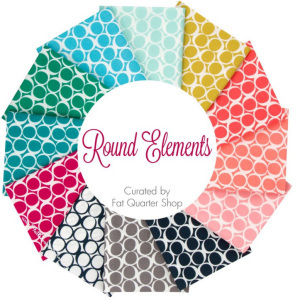 One lucky winner will receive this gorgeous stack of Round Elements fabrics! I love how versatile these fabrics are, and the colors are absolutely gorgeous! 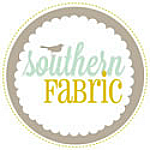 Last, but certainly not least, and the sponsor of the final giveaway, is Fort Worth Fabric Studio. Fort Worth Fabric Studio has put together an entire store section for Valentine's Day, called their House of Hearts. 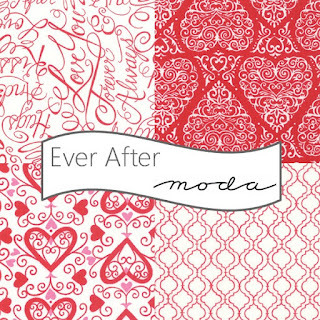 Their House of Hearts includes tons of great bundles, fabrics, ribbons, and notions in the shades of the season; and best of all- it's all in one place! This is the perfect place to find everything you need for a special Valentine's Day project, or if you just want to build up your red and pink stash. You can get 10% off the entire House of Hearts today through Monday with the code HEARTS10. 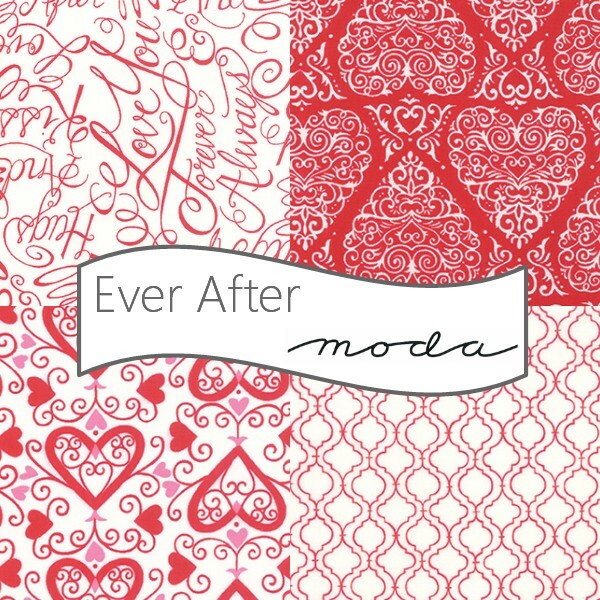 As I mentioned, Fort Worth Fabric Studio is sponsoring the final giveaway of the day- a half yard bundle of these four prints from Moda's Ever After collection. I like that these are holiday prints, but aren't childish. The text and scrolls in the fabrics are really lovely; and who doesn't love a tile print? Wow, wow, WOW! Sales, coupon codes, clubs, tutorials...there are so many awesome happenings at my favorite shops right now! I know you're all hopping over to check everything out right now, and telling your sweetie all about it, or making plans to give yourself a little Valentine's Day gift. 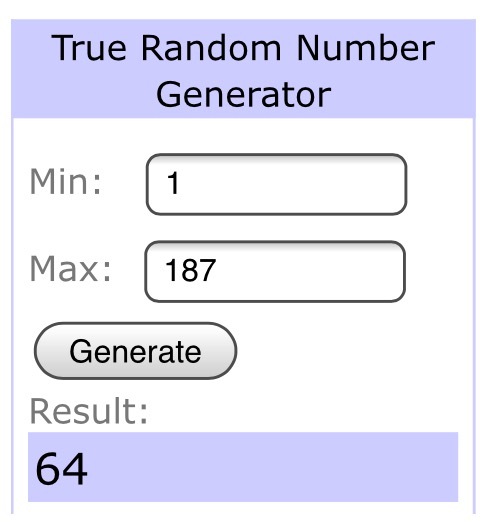 Of course, first you all want to know how to enter these four generous giveaways, right? Easy peasy. Just leave a comment on this post to let me know what really makes your heart flutter most! Please be sure you leave an email address so that I can contact you if you are a no-reply blogger! 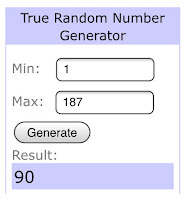 I'll announce the winners next Saturday morning, 2/20. Good luck to all, happy shopping, and happy Valentine's Day! 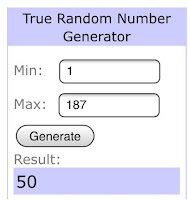 This giveaway is now closed, and I'll announce the winners in a post later today! If you missed out, don't worry! 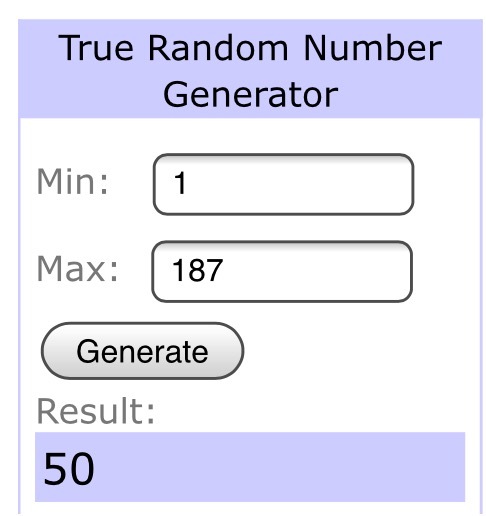 I host giveaways every single month. 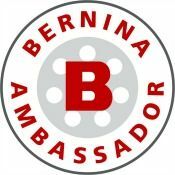 Be sure to subscribe by email, or your favorite blog reader so you catch the next one!